Aam Aadmi Party chief Arvind Kejriwal has been remanded to Judicial Custody by Metropolitan Magistrate Gomati Manocha in a defamation case filed by BJP leader Nitin Gadkari. Kejriwal today appeared before the Court of Metropolitan Magistrate in pursuance to the summons issued against him earlier and refused to furnish a bail bond of Rs. 10,000. As per the reports he informed the Court that he was ready to give an undertaking that he will appear before the Court but not ready to furnish bail bond to secure bail. Advocate Prashant Bhushan and Advocate Rahul Mehra, who appeared for the accused, told the Magistrate that these cases are of political nature and as per the principle of Aam Aadmi Party (AAP), they will not furnish bail bond. After the refusal, magistrate ordered for Judicial Custody till the next date of hearing. 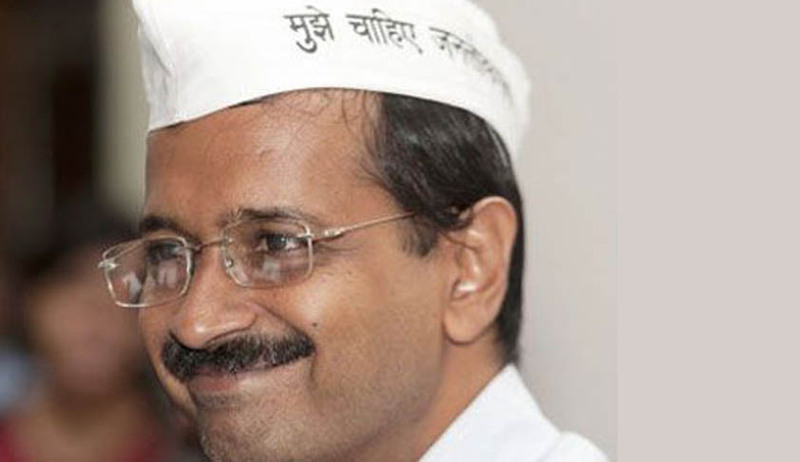 Kejriwal is likely to remain in jail at least till Friday. As per the reports the magistrate expressed displeasure over the conduct and observed that there is no need to have a different procedure in the case of Kejriwal. Kejriwal was summoned on February 28 based on a complaint by Mr Gadkari, who had been included by AAP in a list of "India's most corrupt".